Queensgate needlepoint tapestry pillows are a celebration of British heritage and design. Using a needle and thread to create items of beauty can be traced to the dawn of human history. Queensgate Designs reflect the artisan craftsmanship and museum quality of historical needlework while complementing any modern or contemporary-traditional home. 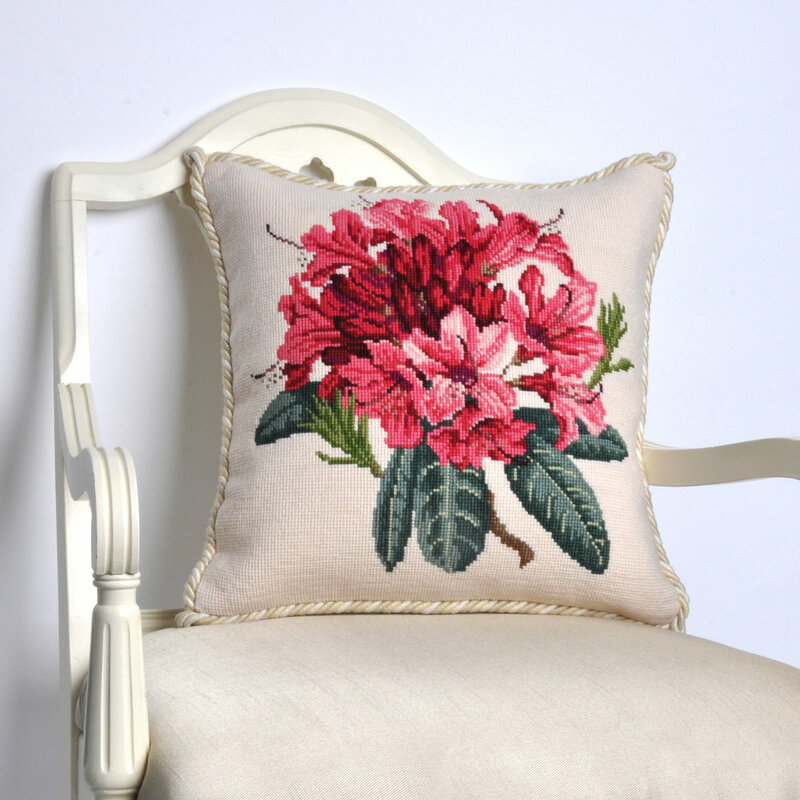 Each beautiful needlepoint pillow showcases over 100 hours of hand stitching by professionally trained stitchers in India, the finest wool spun in the United Kingdom, and the highest-grade European cotton canvas. From our design and production headquarters in London and Wales we source the finest materials and stitch these into heirloom items for your home.